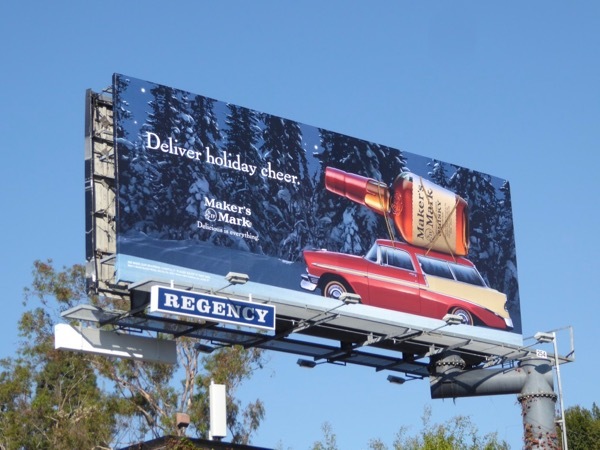 'Tis the season to be jolly and this Christmas Maker's Mark is delivering some holiday cheer in the form of a giant-sized bottle of Kentucky bourbon whisky strapped to the roof of a car as you'd bring home a tree to decorate. 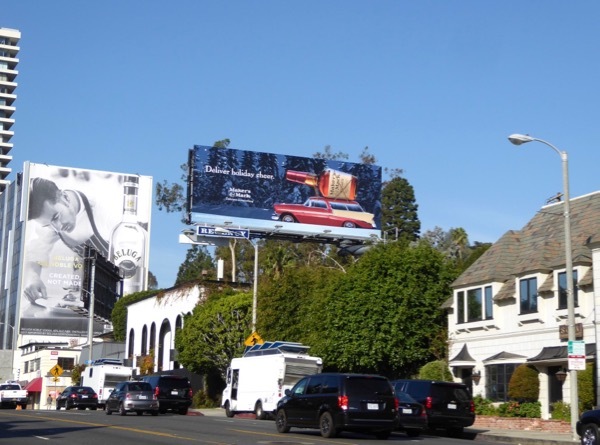 This holiday-themed billboard was spotted along the Sunset Strip in West Hollywood on November 11, 2017. 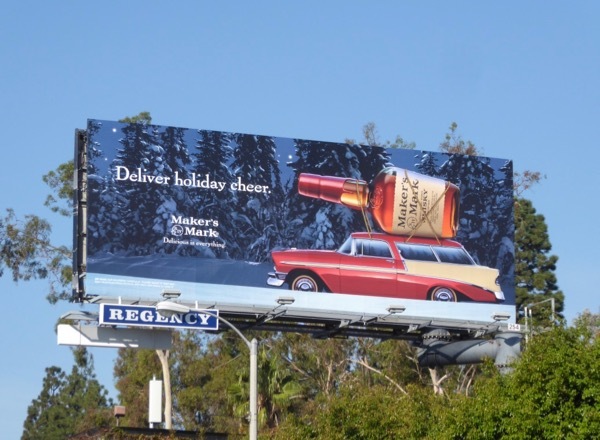 For more merriment be sure to check to all these other fun Maker's Mark whisky billboards. 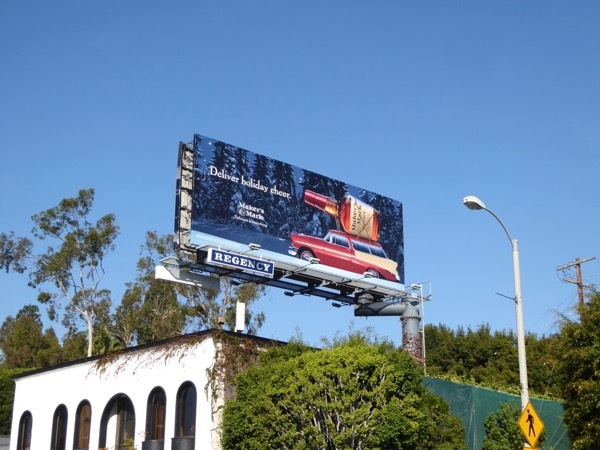 And if you're not feeling the joy of the holiday season yet, you can also take a look at these other Christmas billboards filling the city skyline from years past to help get you into the festive spirit. Let's raise a glass, or a bottle, to the weekend and let the countdown to Christmas Day continue.